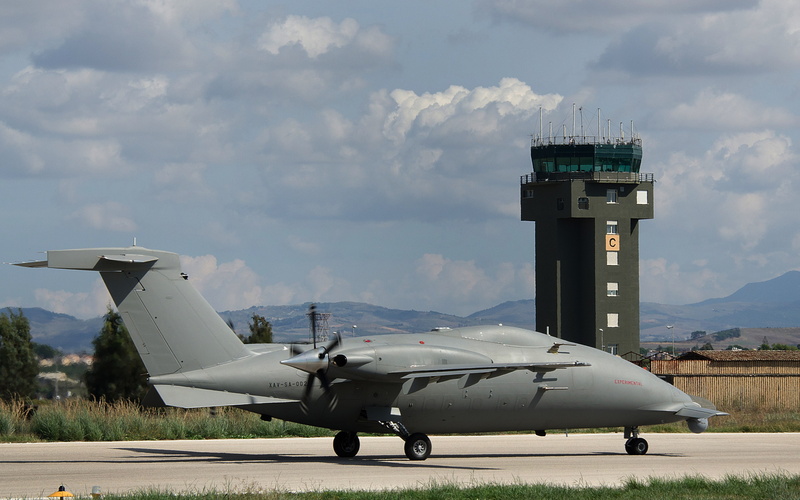 The P.1HH HammerHead design is fully compliant with STANAG USAR 4671 standards to fly in both restricted and unrestricted flight areas, according to the relevant authorities permission. 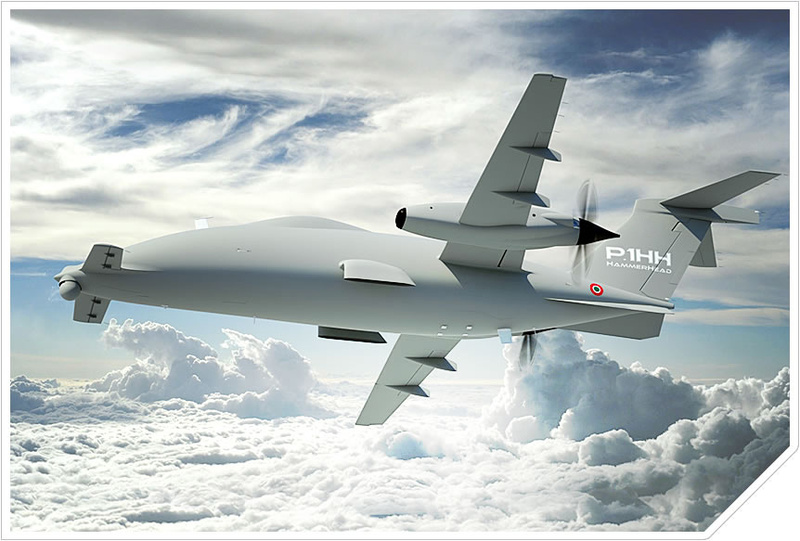 The P.1HH HammerHead UAV platform has an aerodynamic configuration largely similar to P.180 Avanti II. 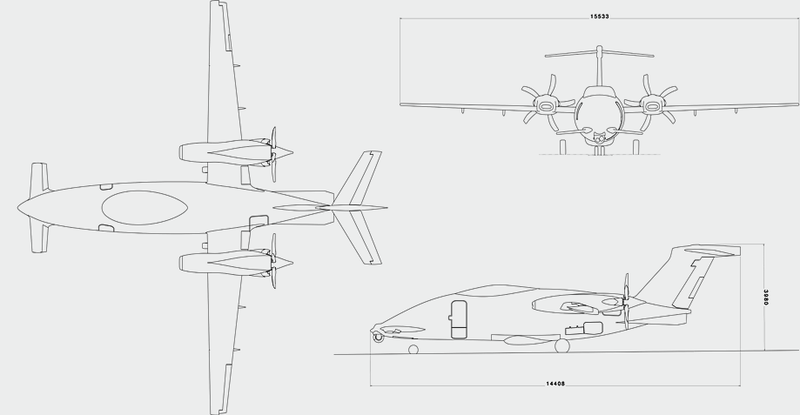 This is very versatile thanks to its unique patented 3 lifting surfaces configuration (3 LSC) and high aspect ratio laminar wings, adapted for the P.1HH design by moderately increasing the wing span to sustain larger vehicle masses and allocating a quick detachable joint to the outer wings for rapid aerial deployment of the UAS in remote areas. Being based on a certified Mach 0.70 aircraft, P.1HH HammerHead is the fastest MALE. The P.1HH HammerHead power plant has two, highly reliable Pratt & Whitney Canada PT6A-66B turbine engines integrated with low noise 5 blade scimitar propellers. The Power Plant is controlled by two Engine Interface Units that receive commands from the FCC to drive the turbine and the propeller governors while managing engine and propeller data. A large upper fuselage tank, supported by a robust yet efficient carry through beam, is integrated to provide the required fuel quantity for long range and endurance. A smart fuel system is designed to control and minimize the movement of the aircraft center of gravity for maximum operational flexibility in a wide range of mission payloads. The triple redundant 28VDC electrical generation and distribution system supplies energy for all aircraft functions with adequate operational reserve through the envelope, and fully satisfies large power demands from a variety of power consuming payloads. 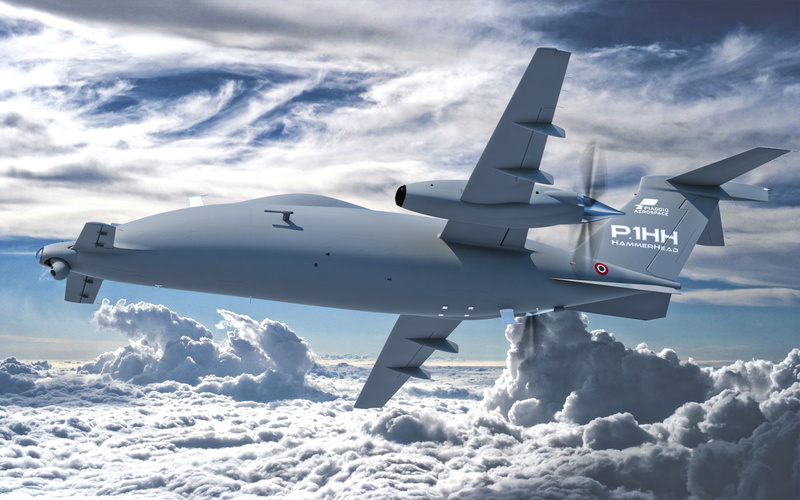 P.1HH HammerHead inherits proven Piaggio Aerospace P.180 aircraft general systems, e.g. : Anti Ice, with hot air on main wing, electrical on forward wing and pneumatic boots on the engine nacelle inlet. It also has a hydraulic dual pressure system for landing gear extensions/retraction and brake activation, plus other ancillary systems like fire extinguishing for the engine nacelle area. These subsystems are all commanded by the VCMS, via fail-safe Remote Interface Units. The large but, low drag P.180 aircraft fuselage provides capability for aerodynamically effective payload arrangements, with plenty of available volume from the variety of LRU’s equipment, sensors and communication equipment comfortably located inside the fuselage. 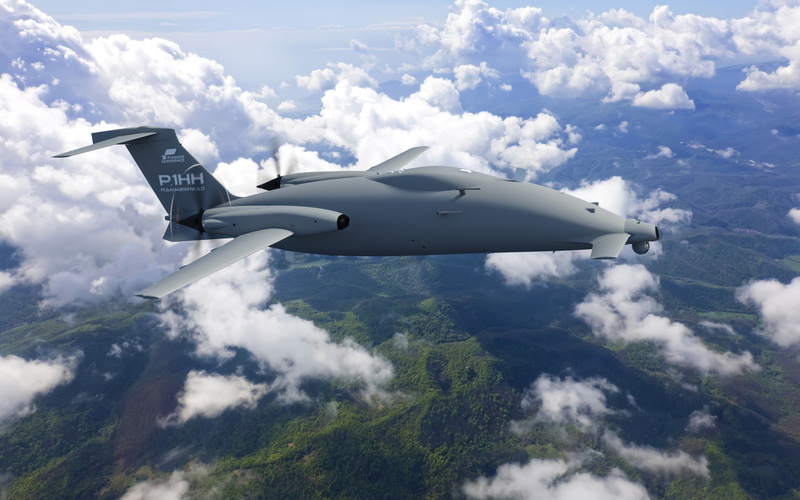 P.1HH HammerHead features a technologically advanced Vehicle Control & Management System (VCMS) that when combined with the advanced Mission Management System (MMS) manages the UAV and its mission specific equipment. The VCMS, commanded from the Ground Control Station (GCS) via an airborne datalink system, conducts the vehicle commanding aerodynamic control surfaces and manages on-board equipment with a triple redundant Flight Control Computer (FCC) system and multiple remote multi-lane Servo Interface Units (SIU), developed to achieve the required level of safety and mission reliability. Position, attitude and air data are guaranteed by triple redundant Inertial Sensors (INS) and Air Data Probes (ADS), mounted in the VCMS. 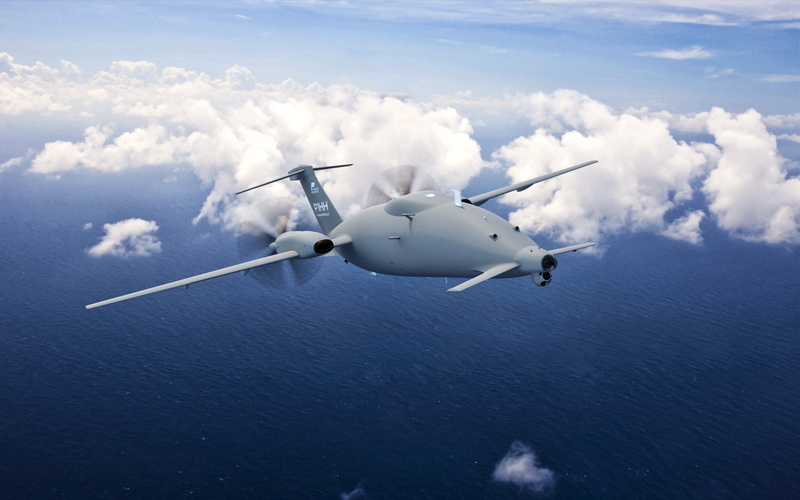 P.1HH HammerHead VCMS features an Automatic Take-Off and Landing (ATOL) system served with dual redundant external sensors for required reliability and safety. All VCMS LRU’s are installed inside the large volume fuselage, in a very protected optimized operative environment, in a specific lay-out that provides zonal separation and temperature analysis to achieve a state of the art operative temperature range, highest VCMS reliability and finally, P.1HH HammerHead safety. Very easy access is provided through the large entry door and a multitude of access doors for the best maintainability within the segment. An advanced Ground Control Station (GCS) is the P.1HH HammerHead UAS’s command & control center. 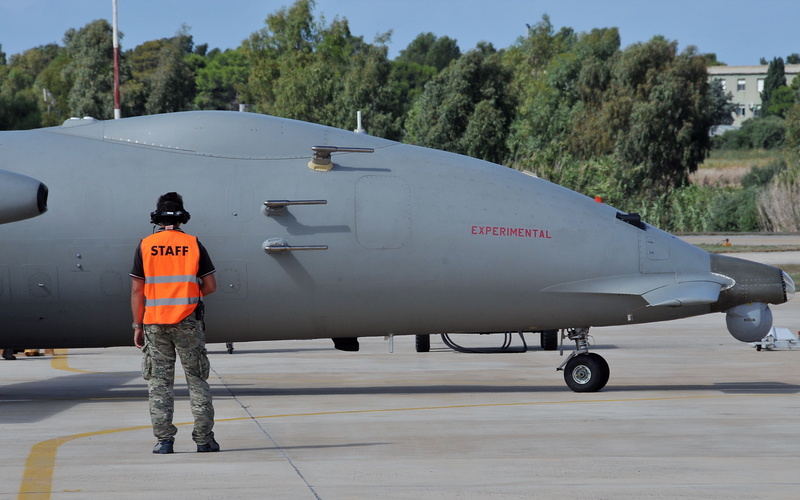 The GCS is located in an autonomous shelter that hosts crew, equipment and consoles necessary to manage three UAVs (two operational, one in transfer mode) and their related Payloads. The Crew processes functions necessary to execute tactical unmanned missions and stand-off surveillance unmanned missions, remotely commanding and controlling through VCMS and MMS the on-board surveillance system with an advanced human/machine interface integrating display and control system. The GCS is provided with multip le Ground Data Terminals (GDT) that when coupled with the associated Air Data Terminals (ADT) on the vehicles provide Line Of Sight (LOS) and Beyond Line Of Sight (BLOS) Link for Vehicle and Payload Control. The Links System allows LOS & BLOS air vehicle command & control and payload digital encrypted data transmission via redundant, multi-frequency, high bandwidth RF links and via Ku/Ka Band SATCOM. Mission data is eventually relayed to the headquarters either via ground communication systems or eventually with the same LOS/BLOS data link. 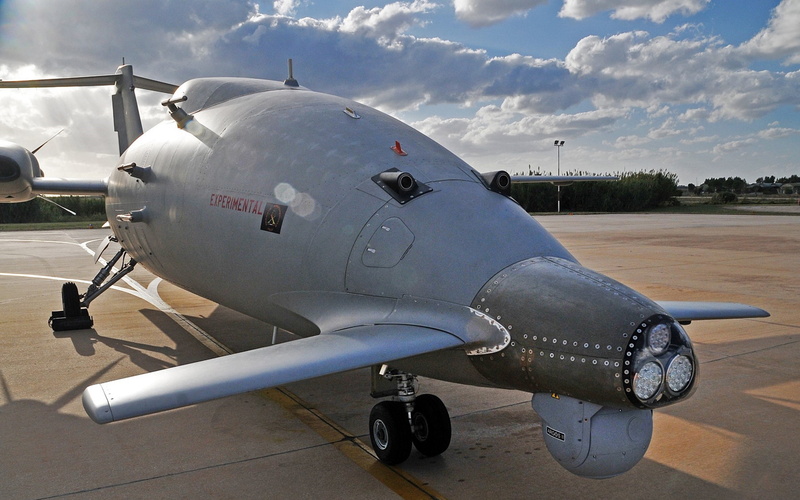 The P.1HH HammerHead UAS Mission Management System is based on Selex ES skyISTAR® innovative technology, which redefines the concept of patrolling and ISR missions, to encompass threats that range from terrorist attacks to illegal immigration, as well as protection of Exclusive Economic Zones (EEZ), infrastructures and critical sites. 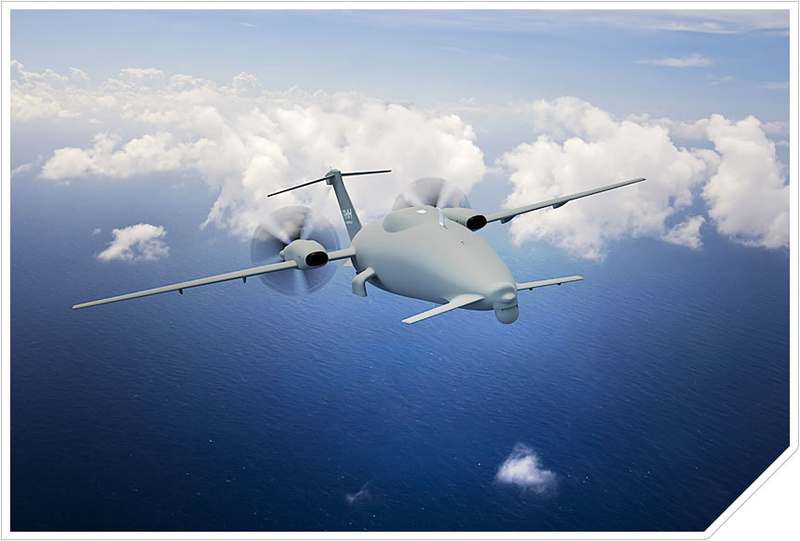 The on board airborne Mission Management System (MMS) manages sensors, video and data, communications, and ISR functions and it is capable of recording video and mission data. The MMS is modular and reconfigurable with effective and fully integrated open system architecture possessing significant growth capability. 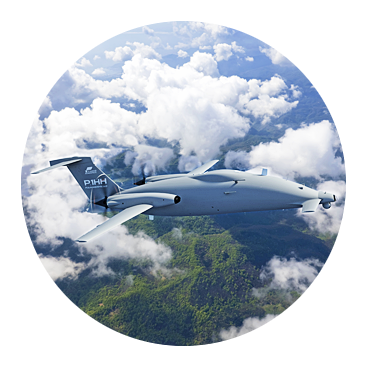 Sensor fusion technology, data management and exploitation features of skyISTAR® enable highly effective border control, wide area surveillance, targeted surveillance environmental and disaster control missions. Loiter at 135KTAS (1 to 3 NM turning radius).